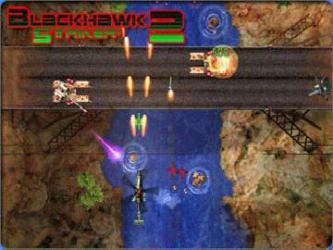 Blackhawk Striker 2 puts you in the cockpit of three hi-tech attack choppers. 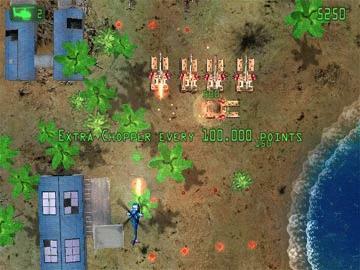 Fly over incredibly detailed terrain as you blast your way through alien invaders in this sequel to the original hit title. 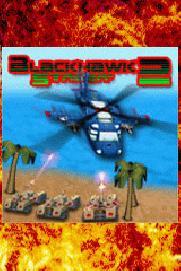 4 huge levels of increasing difficulty and 3 helicopters to choose from. 7 power upgrades available: rotor, guns, missiles, bombs, tesla, wingman, and star. 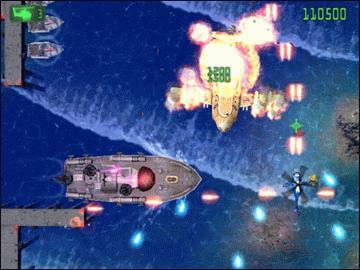 Enemies to hunt down on land and sea, as well as in the sky. 4 unique bosses and 4 mini-bosses. Beautiful terrain with lots of power-ups to collect.